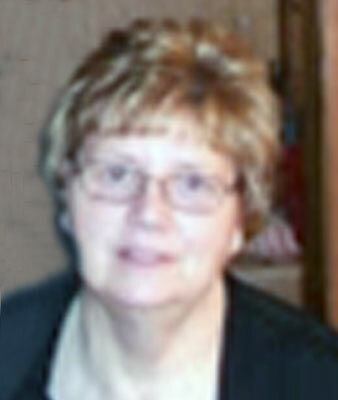 KAREN ''MAMA PEEWEE'' M. BORER NORTH LIMA – Prayers will begin at 9:15 a.m. at the Higgins-Reardon Funeral Homes, Poland Chapel, followed by a Mass of Christian Burial at 10 a.m. at St. Luke Church, for Karen “Mama Peewee” M. Borer, 69, who died late Friday night at St. Elizabeth Boardman Health Center. Karen was born Nov. 12, 1947, in Youngstown, the daughter of Frank and Dorothy (Waschek) Geidner. She was a graduate of Woodrow Wilson High School and owned several carnival concession stands. In her spare time, Karen enjoyed painting. Karen is survived by her husband, Ralph Borer, whom she married Nov. 25, 1967; her mother, Dororthy Geidner of Austintown; two sons, Ralph (fiancée Angie Lentini) Borer Jr. of Poland and Ron Borer of North Lima; two sisters, Janet (Tom) Crnarich of Struthers and Peggy (Carkido) of Warren; brother Frank (Sheryl) Geidner of Austintown; five grandchildren, Ashley, Angie, Ronny, Faith and Dillion; and four great-grandchildren, Lexi, Levi, Caleb, and Kolton. She was preceded in death by her father; infant son, Michael Borer; and brother Jim Geidner. Family and friends may call Wednesday from 4 to 7 p.m. at the funeral home. Visit www.higgins-reardon.com to send condolences to the family.